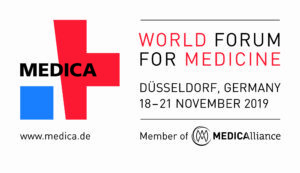 Also this year, from 18 to 21 November 2019, Siare will be present at the edition of MEDICA 2019 in Düsseldorf. We will be happy to show you and provide you more information on the best products in the area of ​​anesthesia and lung ventilation. We are waiting for you at Hall 10 – Stand A20.